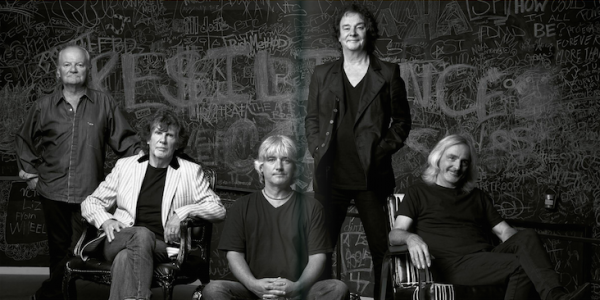 To mark the fiftieth anniversary of the recording of their classic Odessey and Oracle album, The Zombies have assembled an eclectic collection of rare and unseen photos, original artwork, and personal memories that offer readers an intimate snapshot of one of the more influential bands to emerge from the UK music scene of the 1960s. The lavishly illustrated book includes handwritten lyrics for 22 songs. From early hits “She’s Not There” and “Tell Her No,” through every song on Odessey and Oracle – including the hit single “Time of the Season” – and all the way up to today, each selection is accompanied by a running oral history by original band members Rod Argent, Colin Blunstone, Chris White, and Hugh Grundy. 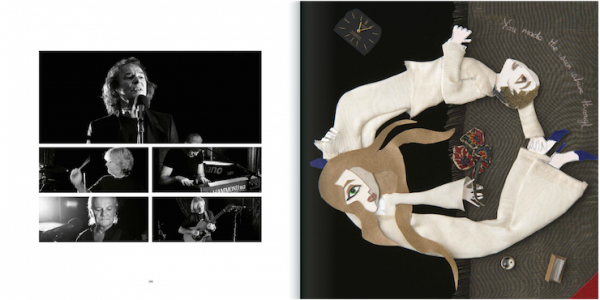 Renowned artist Terry Quirk, who created the look of Odessey and Oracle, designed the book’s cover and contributed new artwork throughout, while Vivienne Boucherat created a unique piece of art to accompany each of the 22 songs. 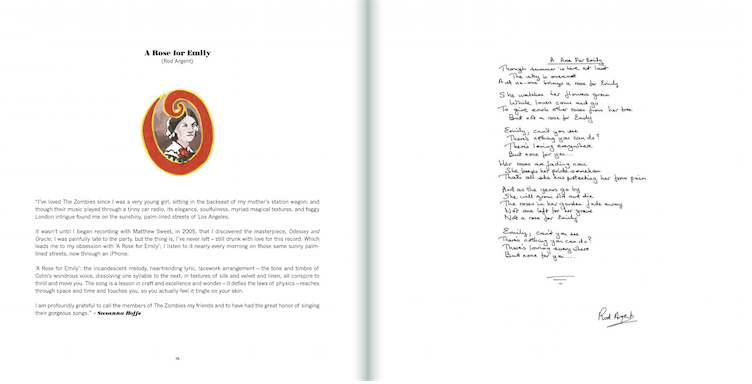 Additionally, The “Odessey” is rich with reflections from music journalists, friends, and fans, including Tom Petty, who wrote the foreword, Brian Wilson, Carlos Santana, Susanna Hoffs, Paul Weller, Graham Nash, Clive Davis, Nate Ruess of fun., and members of Cage The Elephant and Beach House. Contributions from Brian Wilson, Carols Santana, Paul Weller and more.